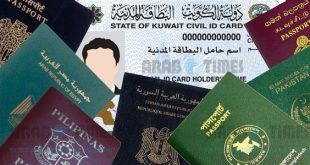 KUWAIT CITY, July 13: Director- General of the Public Authority for Civil Information (PACI) Musa’ed Al-Assousi said people who fail to collect their Civil IDs, five months after its issuance will have to pay KD 5 fine, reports Al-Rai daily. He also said the Civil IDs will be cancelled if they are not collected within a ‘specified’ time. 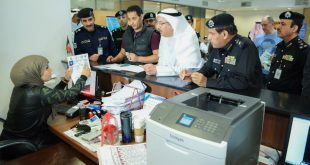 Al-Assousi added 160,599 civil IDs are still waiting to be collected by their owners. 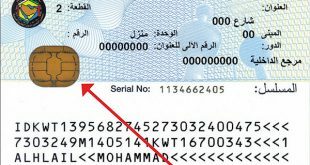 He disclosed it costs the PACI a lot of money to print these ID cards because they are produced in accordance with the highest international security standards.